Few outdoor skills eclipse s’more making for universal application and applause-inducing displays of campfire acumen. 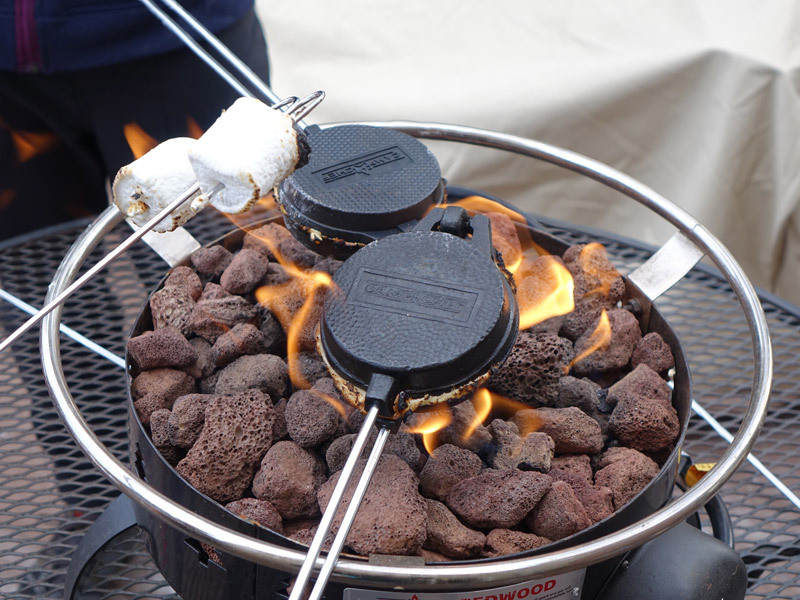 With the Camp Chef Redwood Fire Pit, there’s room to perfect the Art of Marshmallow Roasting even at home. Powered by clean-burning propane and ready for deck, backyard and campground, Redwood brings consistency and improved safety to your circle of family and friends. Spin through the brand’s favorite recipes in video form, but don’t ignore Active Junky’s s’more alchemy. This recipe was perfected during a recent trip to southern Colorado on a film project. Once again, the Redwood showed up with the capability to handle solo and group cooking sessions including pie-iron hot sandwich preparation. Double-down on to two regular-sized puffs or one oversized marshmallow. Before commencing toasting, break a Justin’s Dark Chocolate Peanut Butter Cup into quarters. Place a confection-covered half graham cracker within range of the Redwood’s warming glow to pre-melt the Peanut Butter Cup until it has a “wet” appearance (rather than reach complete melt-down).